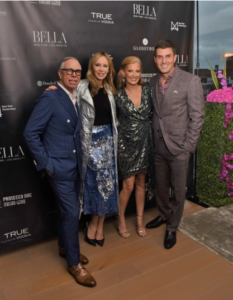 Bella Magazine together with the estate agency Douglas Elliman and the Hilfiger family, celebrated the New York Fashion Week in conjunction with the September issue which featured Dee Ocleppo Hilfiger, the designer’s wife. 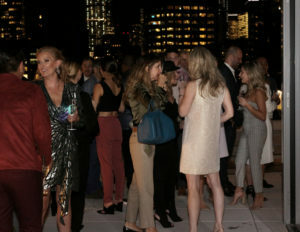 The event took place on September 13th at the One Vandam luxury building in Soho in a 3-storey penthouse. The guests, only 100 and selected by Bella Magazine and by the Hilfiger family, celebrated drinking only Prosecco DOC, the only bubbles and wine of the evening, and vodka. Prosecco was paired with passing food that consisted of zucchini flowers filled with cheese and fried, truffle risotto and meat skewers with BBQ sauce. Perfect for parties, Prosecco DOC sparkles through as the ultimate celebratory companion with its fun, easy-to-drink beautiful fruit character and food-pairing versatility.